Alas, it hit me: I share a connection with one of Britain’s infamous murderers. Evil on the outside, tiny smidgen of niceness within, we’ve all lost count of just how many husbands Janine Butcher has pushed over the edge (quite literally). I shall address the elephant in the room. What exactly do I have in common with a serial killer? 2. 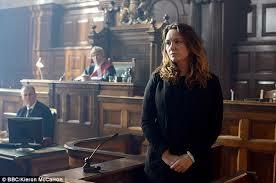 Janine Butcher- fictional character, member of the Eastenders cast, and I, Daniela Caulcrick- resident of the real world and citizen accountable to the real law, have both stood up in court, plead guilty, and gotten away scot free. We live in a New Age. An age where it seems science has an answer to everything and it’s not so much that God’s answers aren’t there, but they’ve become somewhat irrelevant. All the big questions that used to preoccupy the minds of earth folk, as recent as 100 years ago, are now replaced with answers supported by bountiful evidence. Makes you question the need for faith, right? On the 30th August when I received my summons from Croydon Magistrates court to testify about a crime I had committed (using an oyster card that didn’t belong to me,) and found out that my conviction would result in a criminal record (Transport For London take no prisoners,) I knew that my faith was the only thing that was going to get me through. Opening that court summons I felt sick. Sick because I couldn’t honestly plead NOT GUILTY, sick because I didn’t want a criminal record, sick because there didn’t seem to be a way to avoid becoming a convict. After the sickness came decision time. I decided to believe God for a MIRACLE. I didn’t know how He was going to do it, but I prayed that he would make it as though my run-in with the law had never happened. In September, I took the stand, plead honestly, and waited for the verdict. Anyone who believes miracles don’t exist should have been with me in court when they said they were WITHDRAWING my guilty plea and would be sending me a letter confirming they’d DROPPED the case. This New Age provides answers, and without dismissing your belief in God, traps you into seeing him as little more than a supernatural energy that helps you to ‘be a better person’. However you phrase it, it comes down to: “you can serve your God as long as you don’t publicly claim to believe in all that magic hocus pocus stuff that can’t be scientifically explained. That would just make you crazy right? Believing in the IDEA of a God is NOT the same as believing in an all-powerful, all-knowing, and all-loving being. I understand the desire to refrain from appearing as a ‘Bible bashing So And So’ but if your faith isn’t attached to any substantive beliefs, it doesn’t really amount to much. Fundamentalist has become a dirty word reserved for those deemed too far gone to be reasoned with, but being a Christian is all about believing the bible, in more than a figurative, choose the nice bits and discard the bits that are hard to stomach, kind of way. I couldn’t tell you whether the mountain Jesus is referring to in Matthew is real rather than theoretical. What’s important is that we all have mountains in our lives, troubles that don’t seem solvable with human logic. Jesus is pointing out that with just a tiny bit of faith, they can disappear. I’ll be forever grateful to God for coming through for me. I can only urge you to believe in the attributes of God, if you claim to serve him. Who said miracles have to be a thing of the past? You can’t please God without faith, so start speaking to the mountains in your life, and expect to see them move. Your rationalisation of everything will get you no-where.